Does your car scream Cowboys? 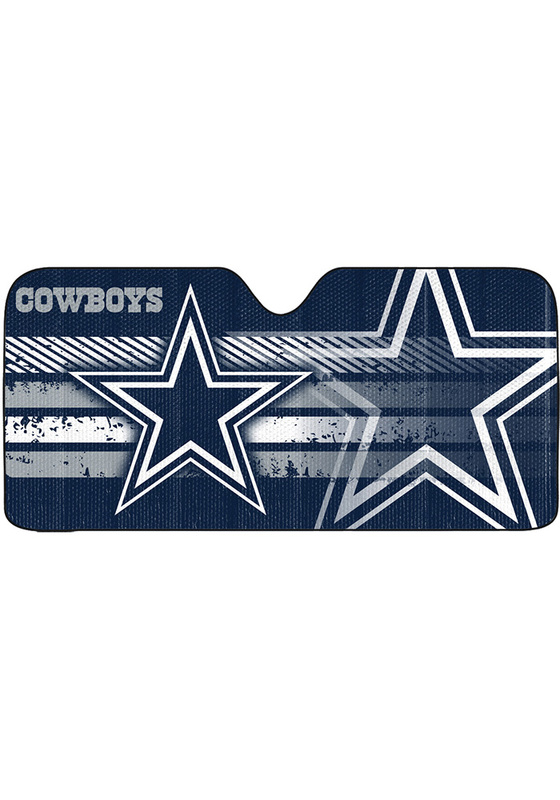 This Auto Sun Shade features a pair of team logos on a team color background while supporting your favorite team. This Cowboys pops open easily and folds down for storage. Auto Sun Shade are proven to keep the inside of your car cooler on those warm sunny days. Go Cowboys!